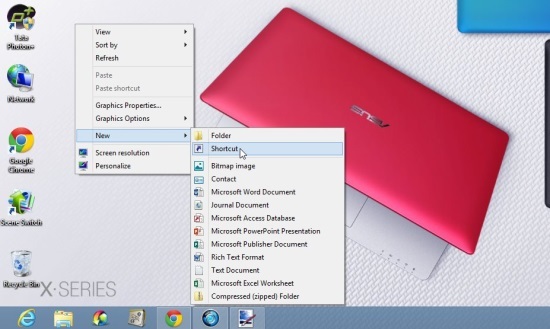 Here is a small tutorial on how to add a Shutdown button to the Windows 8 Start Screen. Adding a Shutdown button to the Windows 8 Start Screen is quite easy, and it doesn’t even require installation of any third party software. 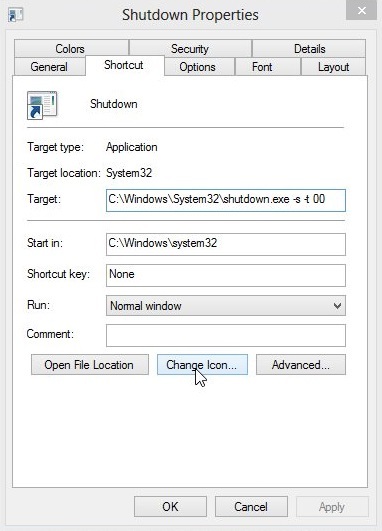 If you find it laborious to go through the default four-step process to Shutdown Windows 8, you might find it useful to add a Shutdown button on your Start Screen. Once you add it to the Start Screen, you can easily turn off PC with a single click. 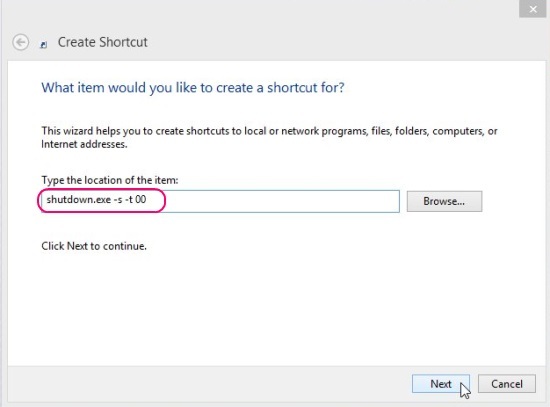 Follow this simple tutorial to find out how to do add a Shutdown button to the Windows 8 Start Screen. Get to the desktop (by clicking on the Desktop tile on the Start Screen) and right click anywhere on the blank area. Click on “New” and choose “Shortcut” option from the sub menu. A shortcut would appear on your desktop, along with a dialogue box. Enter “shutdown.exe -s -t 00” in “Type the location of the item” field and click Next. 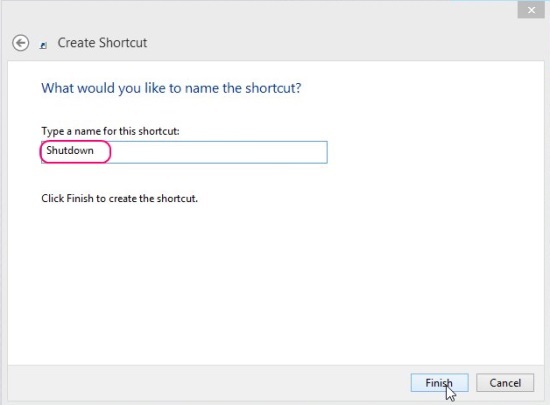 Enter name for the shortcut in “Type a name for this shortcut” field and click Finish. Now right-click on the shortcut and choose Properties. Click on “Change Icon” option under the Shortcut tab. A message would appear; click OK to proceed further. Another window would appear listing the Shell icons. Click on Power button icon and click OK. This would take you back to the Properties window. Click Apply, and then OK to apply changes. 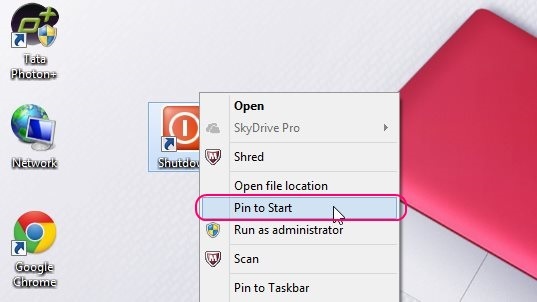 Now right-click again on the Shortcut icon and choose “Pin to Start” option. Next time you go back to the Start screen, you would see the Shutdown button added there. If you want to have the Start menu back on your Windows 8 desktop, you might checkout these freeware and choose the one that suits you. Note: The same tutorial works for adding Restart, Hibernate, and Sleep buttons as well on the Windows 8 Start Screen. The only difference is in the Location path and Name of the shortcut. Use the following commands to add the required buttons. Hope this tutorial would be of help to you. Do share your thought and suggestions via comments.